Freeman Thomas is an American auto designer who previously assisted in the design of the Ford Thunderbird and the new Volkswagen Beetle. The design for this vehicle was inspired by the rally cars that raced in the Tourist Trophy races on the Isle of Man (between Great Britain and Ireland) in the 1930s... this is the source of the car's name, "TT". 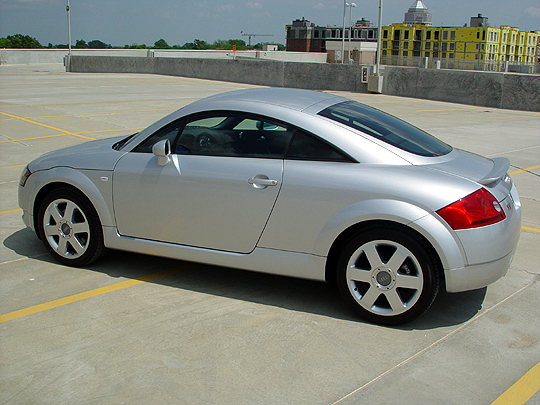 The design of the TT has been compared to the German Bauhaus school of architecture... the shape of the car is very simple, including circles and semicircles whenever possible. The circular arc of the roofline is complemented by the large 17" wheels at the front and rear of the car. The interior includes quite a few circles, including the air vents in the dashboard, the gauges in the instrument panel, and all of the controls on the main console. Also, a really nice design element is the use of aluminum all over the car, especially the fuel filler, the air vents, and around the gear shifter. 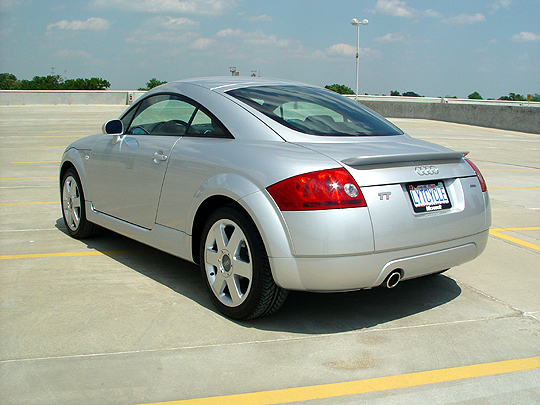 Because of the unique design of the TT, it has won quite a few design awards, including Best Design of 1999 from ID Magazine (International Design). The TT is manufactured in two plants, in Ingolstadt, Germany, and Györ, Hungary. I ordered my first TT in November 1999, and it arrived in the United States in February 2000. My first TT was brilliant black with aviator grey leather and had 17" wheels and the quattro all-wheel drive package. 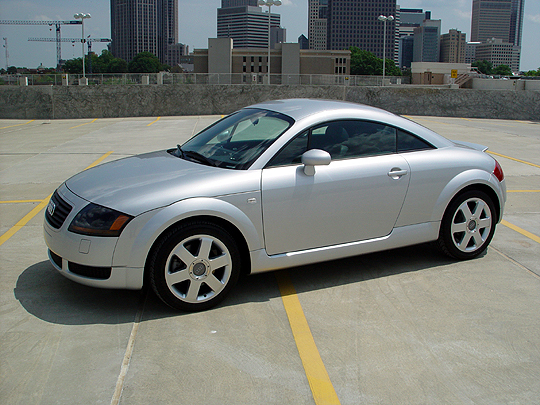 My current TT is lake silver with black leather, but otherwise is the same car, aside from some small technological improvements. The TT is nimble, quick, and looks great... people are constantly looking at this car... it's quite unique. I really love mine. Scroll down to see more pictures of this vehicle.